Paris (AFP) – Tax authorities from the world’s richest nations on Wednesday probed a mass of murky offshore dealings revealed in the huge Panama Papers data leak, just hours after police raided the law firm at the centre of the scandal. Tax investigators discussed how to cooperate and share data unearthed in the Panama Papers, according to a statement released after the meeting by the 38-nation advanced economies club, the Organisation for Economic Cooperation and Development (OECD). Details of the talks, which brought together tax authorities from the OECD and the Group of 20 large economies, were not disclosed. Australia convened the closed-door Paris meeting as chair of the Joint International Tax Shelter Information and Collaboration Network, an OECD initiative which seeks to crack down on cross-border tax cheats. “We are basically trying to get the bigger picture,” Australian Tax Commissioner Chris Jordan told the Australian Financial Review business daily shortly ahead of the gathering. The tax officials gathered in Paris just hours after the Panamanian police’s organised crime unit raided the headquarters of Mossack Fonseca, which says its confidential documents were stolen in a computer hack. 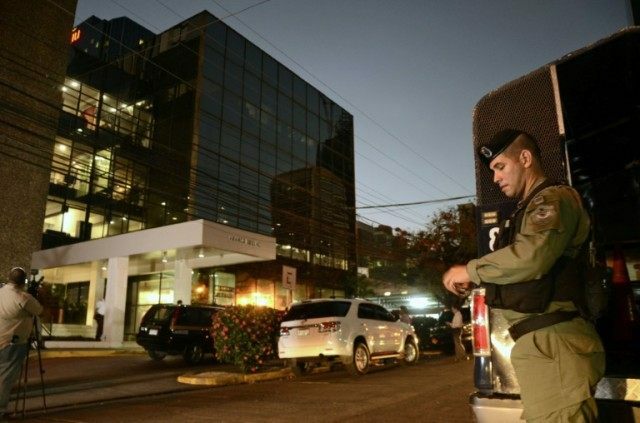 Prosecutors said the raids at Mossack Fonseca’s headquarters in Panama City and other branches had taken place “with no incident or interference,” but gave no details on the results of the searches. The world’s business, political and even sports elite have been thrown onto the defensive by the findings of a year-long probe by a consortium of investigative journalists into leaked documents covering almost 40 years from around 214,000 offshore entities. Iceland’s prime minister was forced to resign after it emerged he owned shares in the country’s banks through an offshore company during the financial crisis. Panama has hit back at the apparent blemish on its image, warning France of unspecified diplomatic measures if France does not remove it from a blacklist of tax havens. Such an international designation would deal a heavy blow to Panama’s vital financial services sector, which the government has been trying to make more transparent. The European Union unveiled plans Tuesday to force the world’s biggest multinationals to faithfully report earnings and pay their fair share of taxes, saying the Panama Papers scandal demonstrated the need for change.